The ultimate multi-sport base layer! Rooster Polypro™ is constructed from a combination of Polypropylene (94%) and Elastane (6%). We've brushed the inner fabric surface to give it a thick, fleece-like, high quality texture which feels incredibly warm and soft next to your skin. The resulting garments provides excellent thermal qualities making it the perfect base layer. Polypropylene is naturally hydrophobic, which means the fabric feels remarkably dry, even when wet. 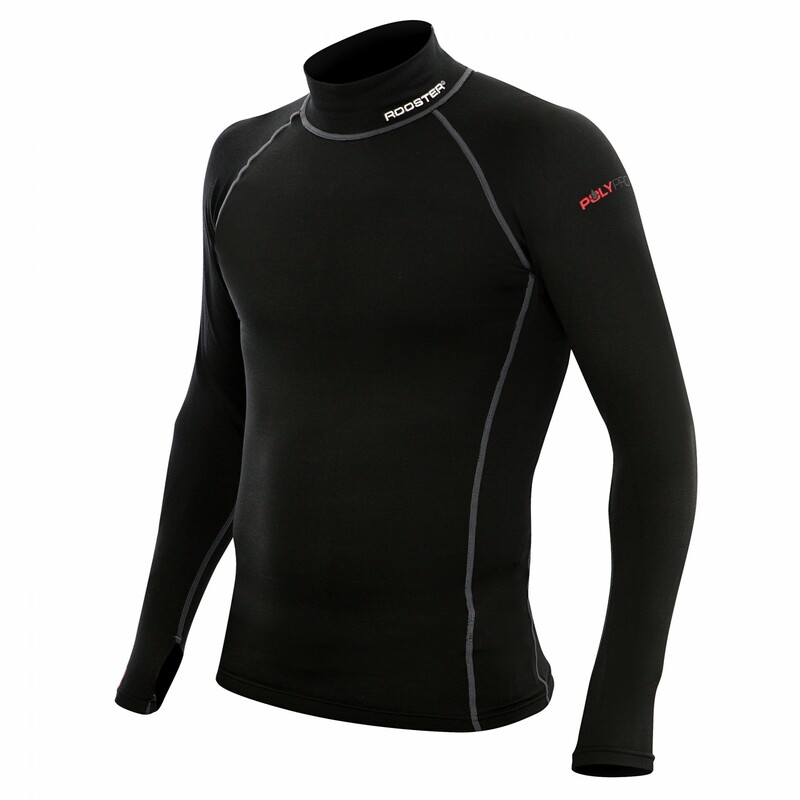 Wear it next to your skin underneath our neoprene Longjohns and Tops - in fact the possibilities are endless - our Polypro™ base layers would be great under your ski suit, drysuit, winter cycling, kayaking, walking and anytime you need a thermal base layer. Also available as leggings, socks and headwear. To use the size chart, find a size that best fits your height, chest and waist measurements. If you can't match all three of these criteria, please take into account your body shape and choose the closest match. We have also included a ladies dress size comparison.